6.5" x 3.25" ( 16.51 x 8.25 cm ). 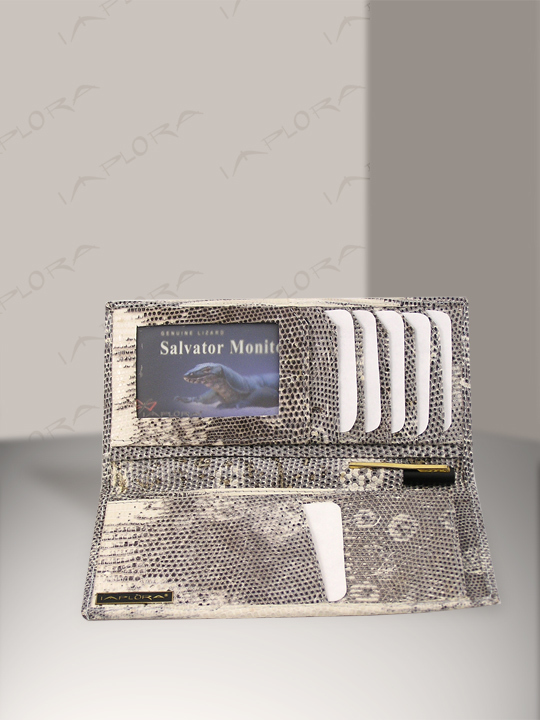 6 card slots, 1 window ID. 2 receipt slots, 1 pen holder. 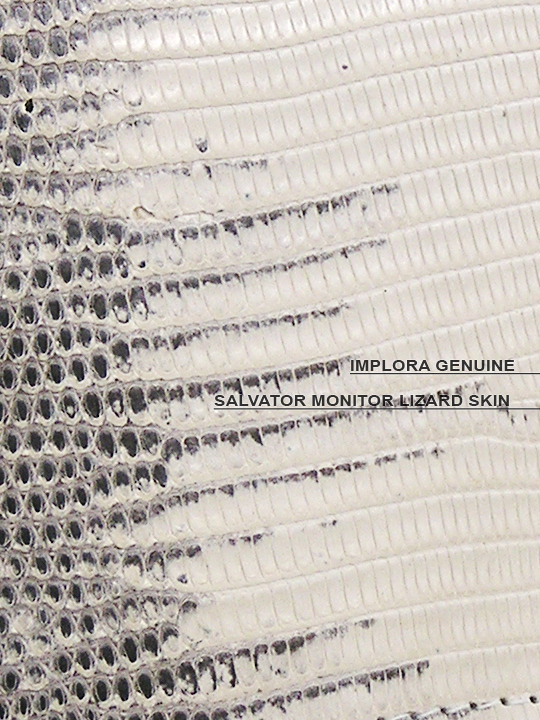 Real Salvator monitor lizard skin exterior interior. Each wallet has similar pattern but not exact.